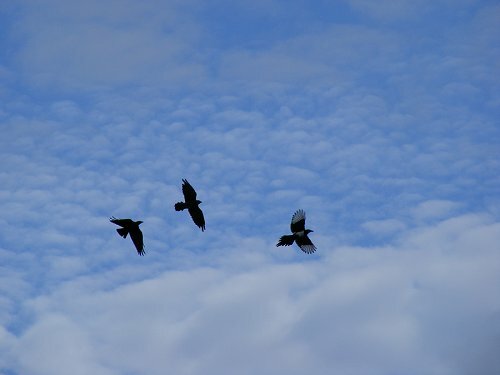 Out with dog head down in the wind, look up see 3 birds arc in a chase. Flick on camera, featers out, aim, shoot. They never did it again. And by never I mean in the next 60 minutes that the dog and I traipsed around in the damp grass.